CREEK Road was closed to traffic today after a huge crane buckled under the force of Storm Katie during the night. 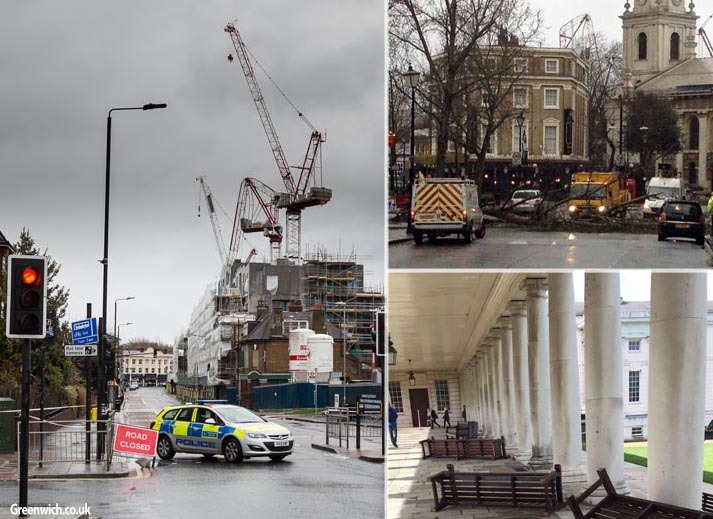 Greenwich woke up to the startling sight of the wilted crane - visible from around town - hanging overhead. 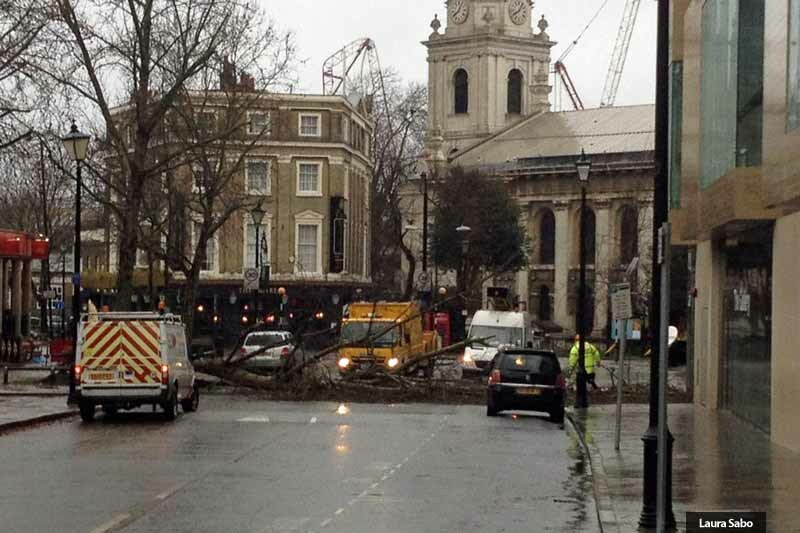 It was reported to have crumpled in high winds shortly before 2am. 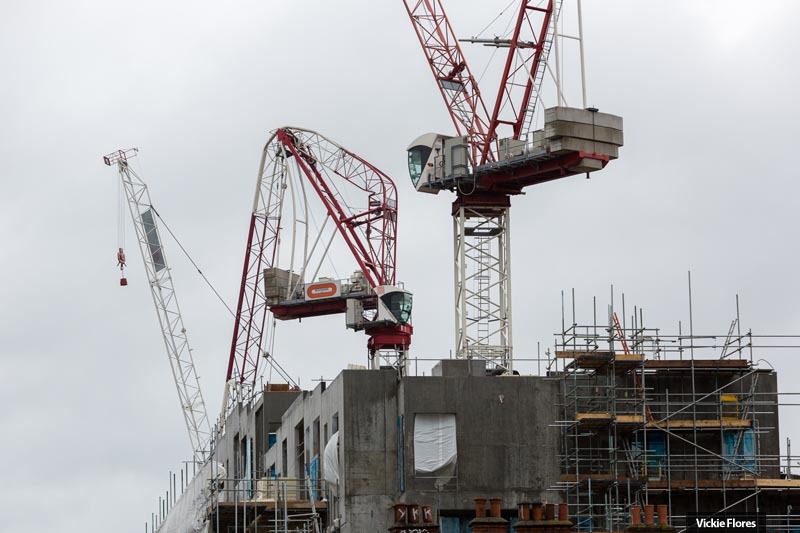 The bent-double crane is one of three that are currently working on a development site on Creek Road. 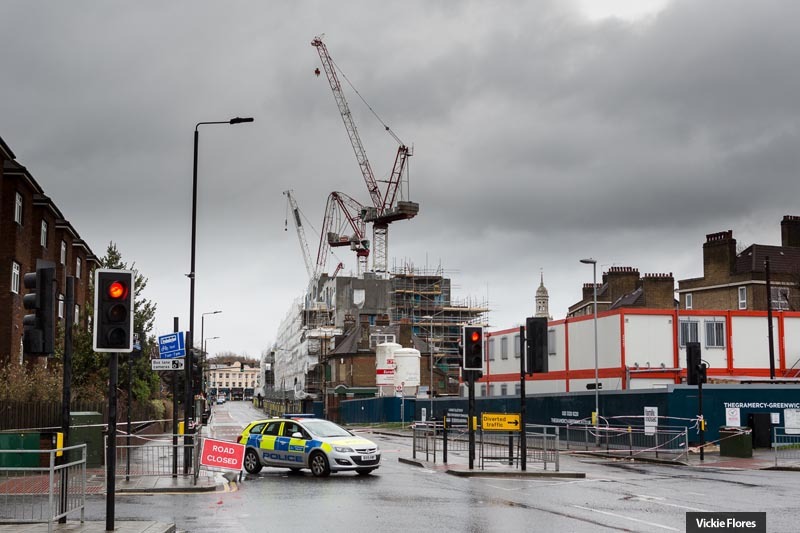 "Officers attended and the road was closed between Greenwich Church Street and Norman Road until the crane’s structure can be made safe. 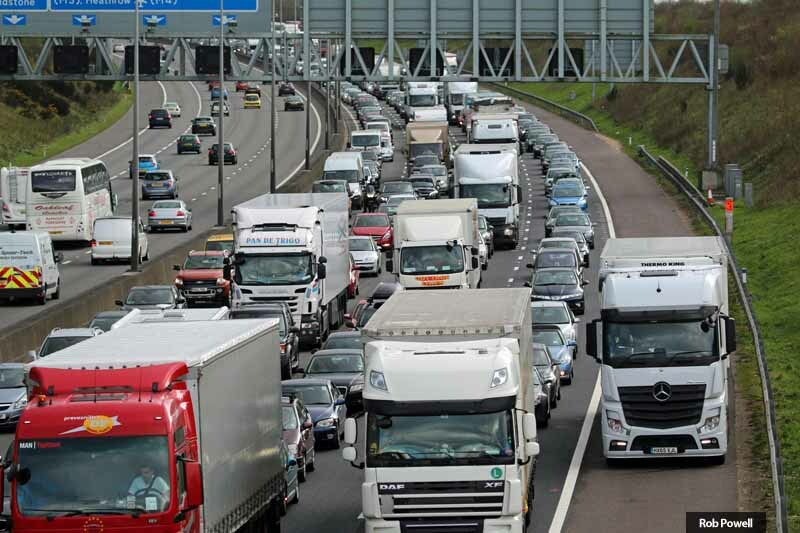 There were no reported injuries." 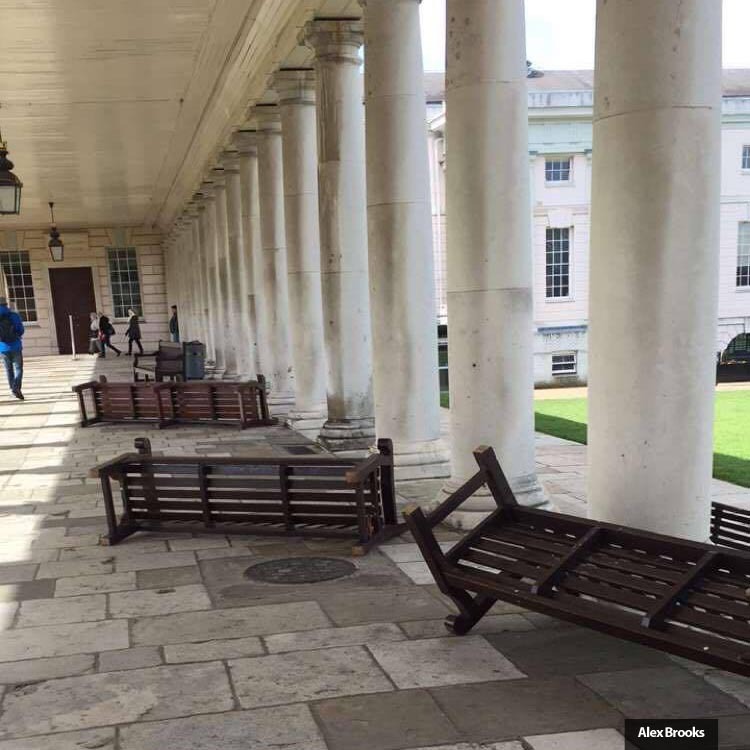 Other damage caused by Storm Katie included the felling of a lamp post and tree in Stockwell Street and the upending of benches at the National Maritime Museum. 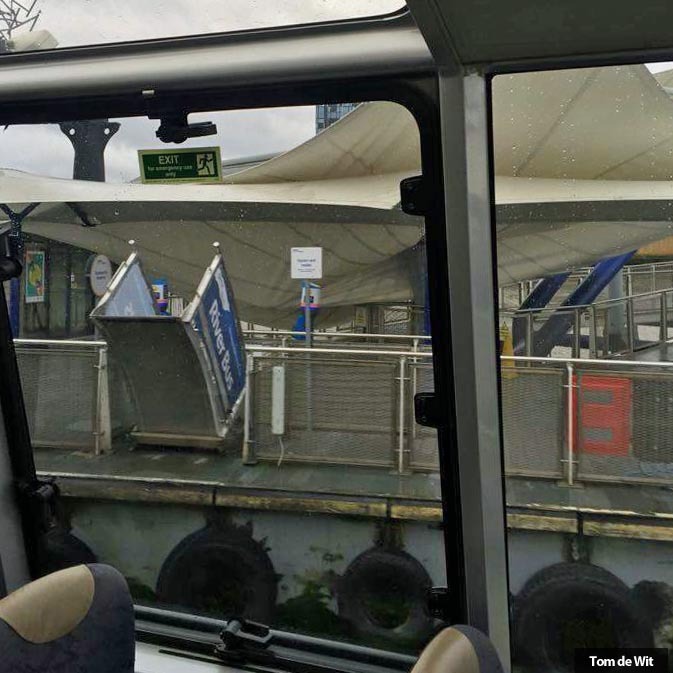 Thames Clipper boats had to stop calling at North Greenwich Pier because of damage to the canopy there and both the Woolwich Ferry and cable car across the Thames were halted until the strong winds subsided.